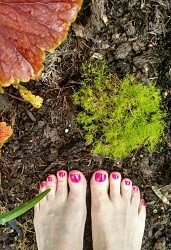 There are many reflexology charts, all slightly different, but most somewhat similar. 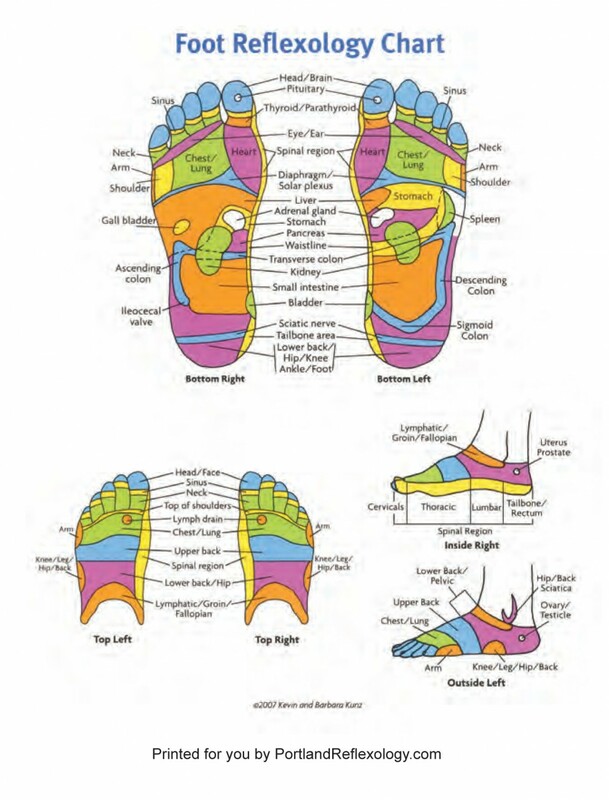 They also are called foot and hand reflexology maps. The charts below are the work of Kevin and Barbara Kunz. This foot reflexology chart shows only one view for the inside and outside of the foot, however, these views will be correct for both feet. 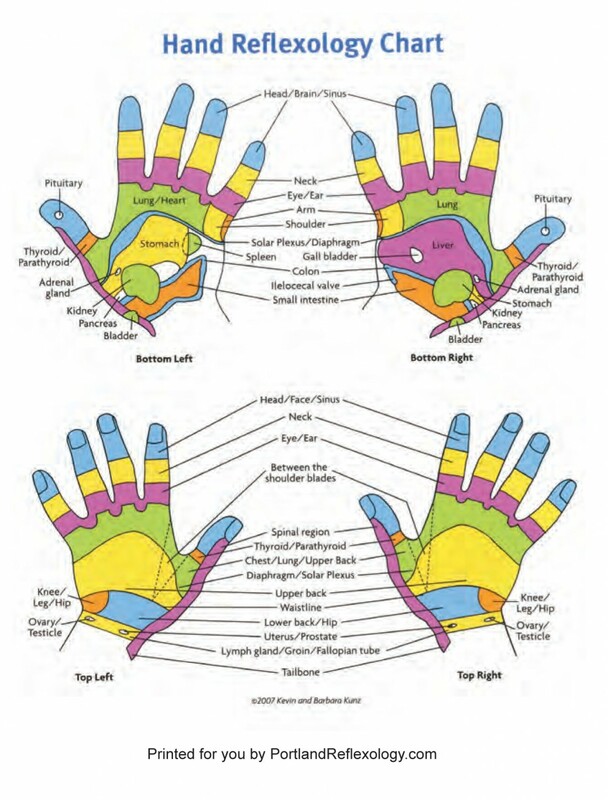 This Hand Reflexology Chart does not include the area of the wrist bones, however including them is helpful for working the pelvic reflexs.